Which Of These U.S. States' Official Mammal Is Extinct? If you recall the age of the N64 fondly, we’ll forgive you for struggling with selecting the correct answer to today’s trivia question. All four options are absolutely iconic games in the history of Nintendo (as well as the history of gaming in general). Super Smash Bros. sold 5.55 million copies and left a legacy that influences brawler-style fighting games to this day. Ocarina of Time is considered by many to be one of the finest Zelda franchise games and the 7.60 million copies sold reflects that. GoldenEye 007 sold 8.09 million copies and was a genre-defining first-person shooter game that not only endeared gamers to the genre, but influenced an entire generation of game designers. But all of them are millions of sales short of beating out Super Mario 64 (11.91 million copies sold). At release, the platformer-style Mario game was instantly and critically acclaimed as the smoothest gaming experience around. Critics raved about how responsive the game was, how smooth the frame rate and movement was, and how open the game felt compared to previous side-scrolling titles. 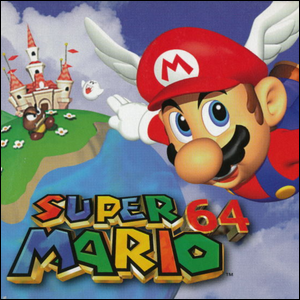 Not only was Super Mario 64 the best seller on the N64, but when released on Nintendo’s Wii Virtual Console, it was second in sales only to the original Super Mario Bros. game.